Travel time affects pricing for all bands. When inquiring, please provide your event city & state so that we may accurately calculate travel time to/from your event! With his high-energy live shows and distinctive country rock sound, Jared Ashley has built his career on the little things-"I'm very particular," he says. "From the stage movement to harmonies to the way the bass and drums play off one another, it all matters. As a songwriter, I even like all the little words to matter, the 'thes' and 'ands' and 'buts,'" he explains. And little by little, all the elements have come together to make Jared Ashley one of Nashville's most promising rising artists. Step back from the details, and the big picture is bright: Ashley was a finalist on season four of USA Network's Nashville Star, where he set himself apart from a sea of 30,000 hopefuls. He has been named one of the top acts on the SEC college circuit. He has been recognized as the Regional Act of the Year winner and Country Male Artist of the Year nominee at The Georgia Country Music Awards. 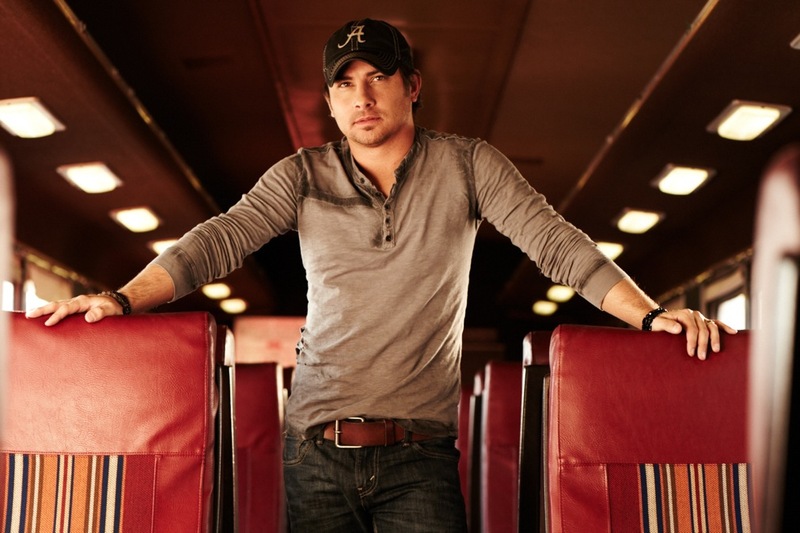 After releasing his well-received debut self-titled album in 2011, featuring the radio single "Stained," Jared was signed to a deal with Ohio-based Blaster Entertainment, also home to Hank Williams Jr., Neal McCoy, Aaron Lewis, and Brother Trouble. What's more, Ashley has scored endorsements with Hick Stuff Apparel and Epiphone Guitars, GHS Strings, and Eminence Speaker. Born in Hobbs, New Mexico, near the oil fields of the West Texas-New Mexico border, Ashley relocated to Newnan, Georgia with his dad as a small child. "Growing up, my parents listened to Alabama, Ronnie Milsap, Kenny Rogers...I was always around country music as a kid," Jared recalls. Later, he came to claim country music as his own, inspired by the revitalization of country in the early 90's by Travis Tritt and especially Alan Jackson, a fellow Newnan native. He received his first guitar at the age of five, and it proved a constant friend to him. The Ashley family moved back to Hobbs when Jared was a sophomore in high school, and not knowing a soul his own age, he began writing songs to pass the time. "That's when I really sat down and started writing songs, working on learning how to play the guitar, just trying to consume my time with things other than being bored out of my mind," he says. After high school, Jared joined the Navy, where he served for four years aboard the USS Independence and USS Kitty Hawk aircraft carriers stationed in Yokosuka, Japan, and served two tours of duty in the Persian Gulf. "On long trips out to sea, there's not a whole lot to do when you get off work. Either stare at water or play the guitar. And that's when I got more serious about it." On Sundays, Ashley began playing acoustic gigs at George's Country Bar, located just off the Naval base in Yokosuka. While in Japan, Ashley's music caught the ear of a friend who quickly introduced him to a contact with deep ties to the Nashville music scene. With one year left on his commitment with the US Navy, Jared booked his first trip to Nashville and was hooked. After moving to Nashville the following year, Jared assembled a band and soon landed the much sought-after Friday-Saturday night gig at the world famous Tootsie's Orchid Lounge on lower Broadway, where he had the honor of sharing the stage with guests artists including Merle Haggard, ZZ Top, Blues Traveler, Toby Keith, Joe Nichols and Tracy Lawrence. "Broadway's a boot camp," Jared says. "You're gonna meet a ton of people and you're gonna learn a lot. It'll make you or break you." He was soon introduced to the former president of Giant Records, who took him into the studio to cut four original songs. Later he recorded the infectious ballad, "The Next Glass," which became a listener favorite on Nashville's iconic WSM-FM radio station. Ashley then inked a development deal with RCA Records and recorded with Buddy Cannon and Joe Scaiff. While playing at Tootsie's, Jared fortuitously connected with Primesource Entertainment, a booking agency specializing in the Southeastern college market. Primesource opened the door to the next phase of Ashley's career, playing up to 160 dates a year at colleges and universities across the region. Ashley continues to keep a gruelling tour schedule, delighting audiences at fairs, festivals and clubs nationwide with his rebellious brand of country rock-meets honky tonk. He is currently writing for an upcoming project with Blaster Entertainment. "I'm a songwriter first, and I became an artist because I wanted people to hear my songs," Jared says. "I'm really enjoying the songs I'm writing now because they represent where I am in my life right now." Recently married, Jared credits his wife, Taylor, as the inspiration behind his upcoming project. "There are no breakup songs, no crying in your beer- It's all fun." Whiskey Bent And Hell Bound-Hank Jr.
All My Rowdy Friends-Hank Jr.
Country Boy Can Survive-Hank Jr.